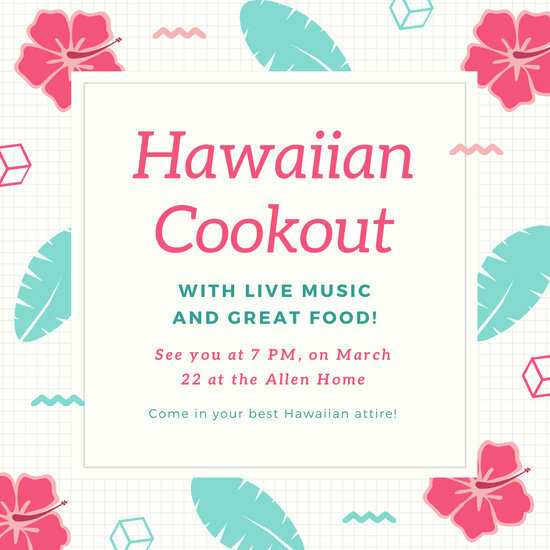 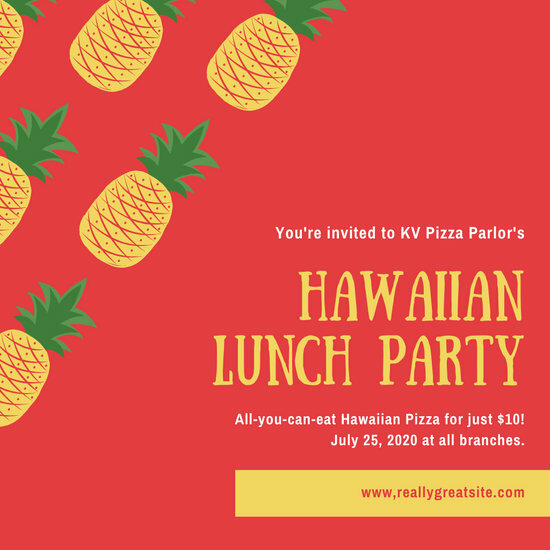 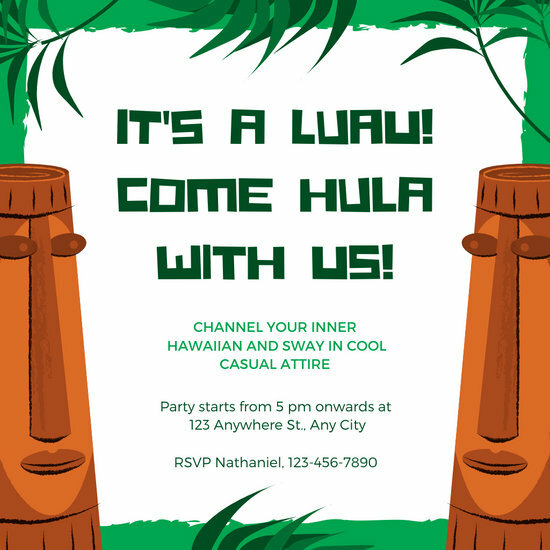 For a sunny, tropical event, you'll need one of Canva's cool Hawaiian party invites! 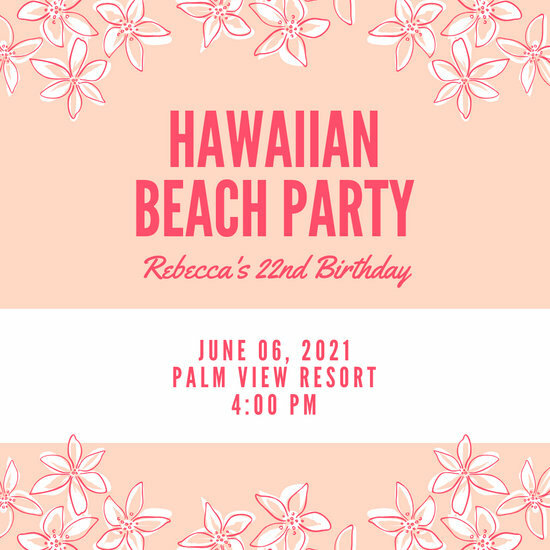 Choose from dozens of designs and edit them for a more unique look. 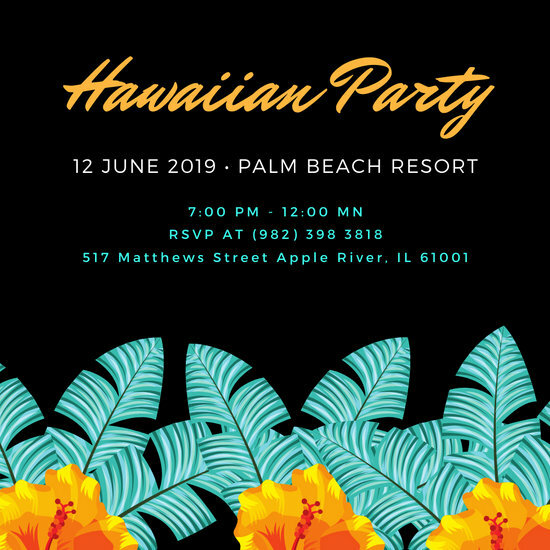 There's something magical about the tropics. 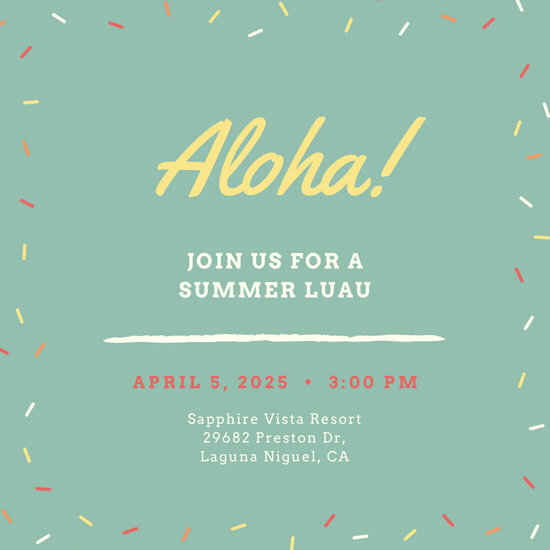 Because of the beauty of the sun, sand, or sea, tropical getaways such as Hawaii are always on the top of everyone's travel bucket list. 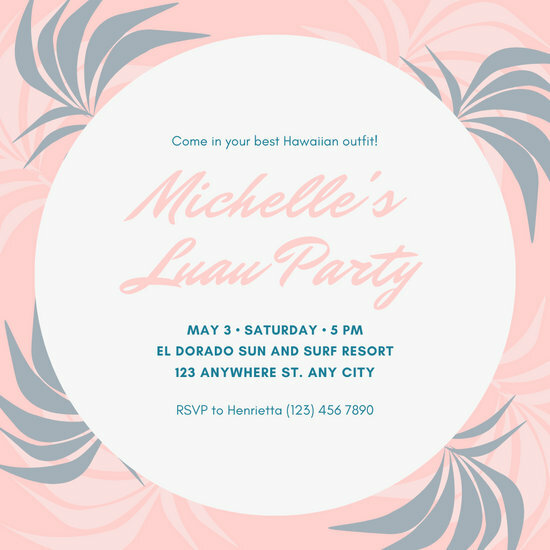 Frolicking on a tropical island gets the good vibes going, but there's no need to fly out all the way to Hawaii to experience the same dreamy feeling. 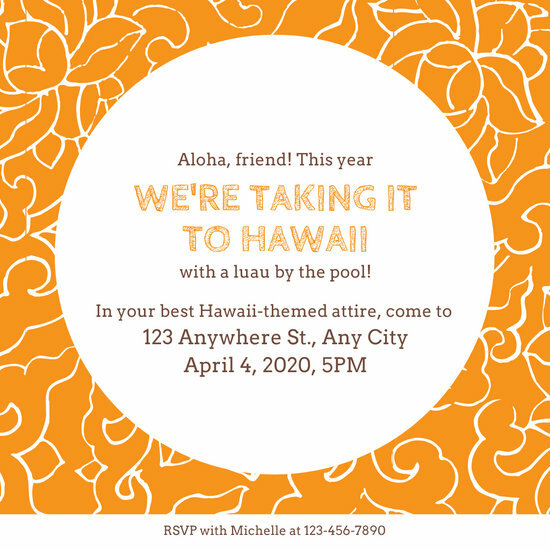 An option would be to organize your very own Hawaii-themed event, may it be a birthday party, a reunion, or a fun summer celebration. 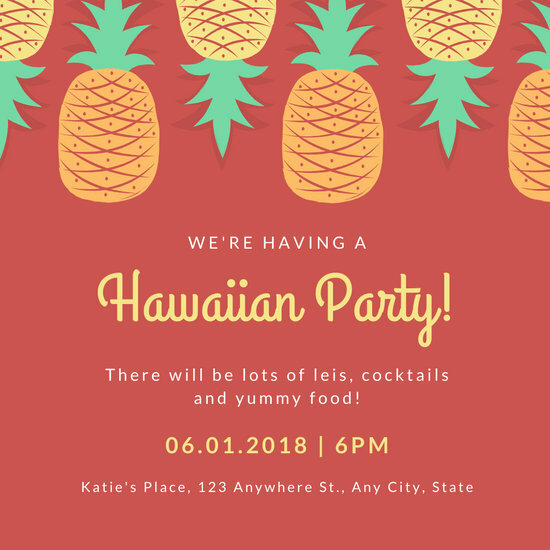 So bring out the beach balls, grass skirts, and fruity cocktails. 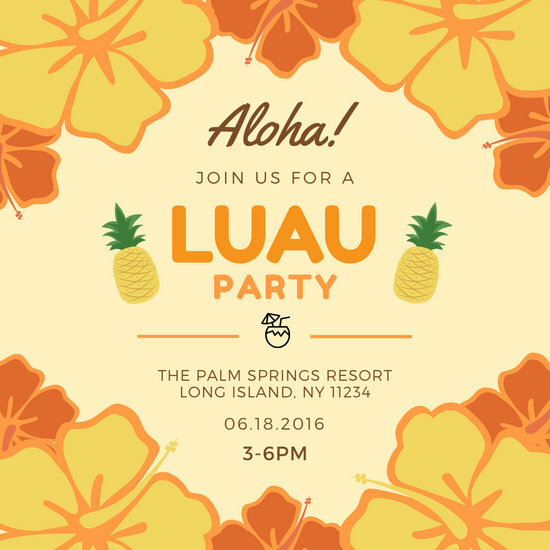 Throw a Hawaii-themed celebration and have your guests experience the breathtaking magic of the tropics. 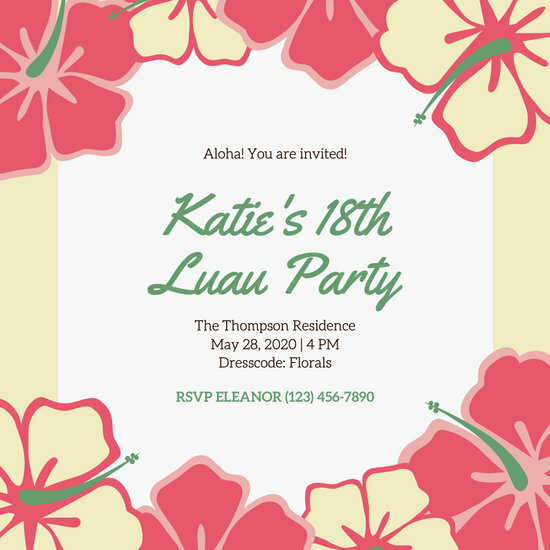 Organizing a Hawaiian party could be a lot of work, from its food selection down to its sunny decorations. 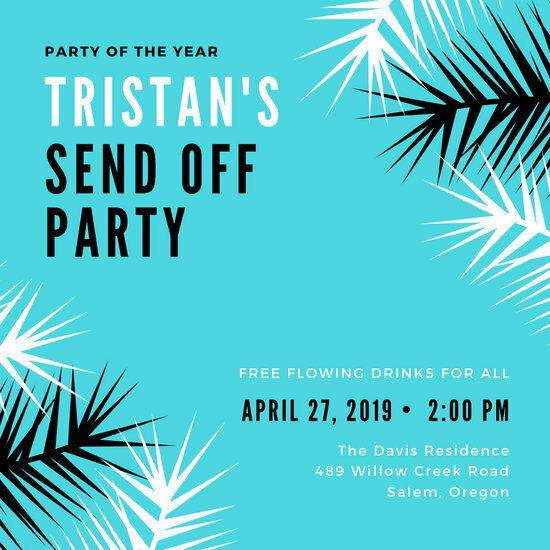 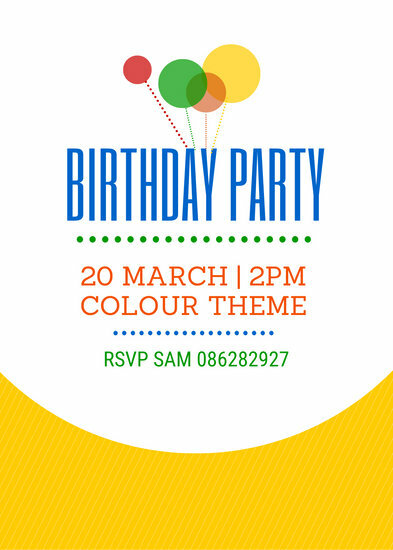 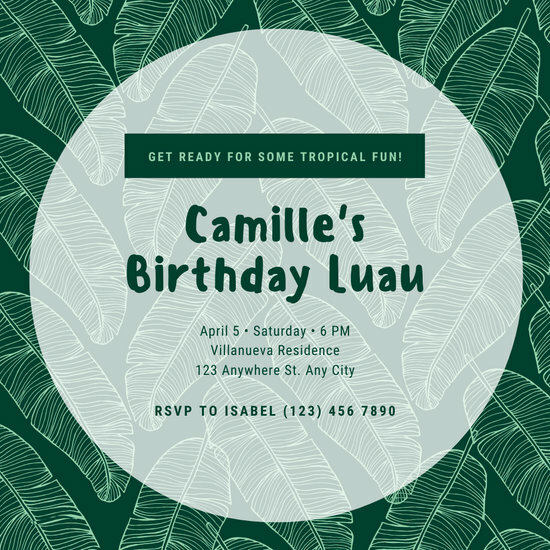 But with the help of Canva's free graphic design software, you don't need to spend a lot of time and money on creating a stunning invitation. 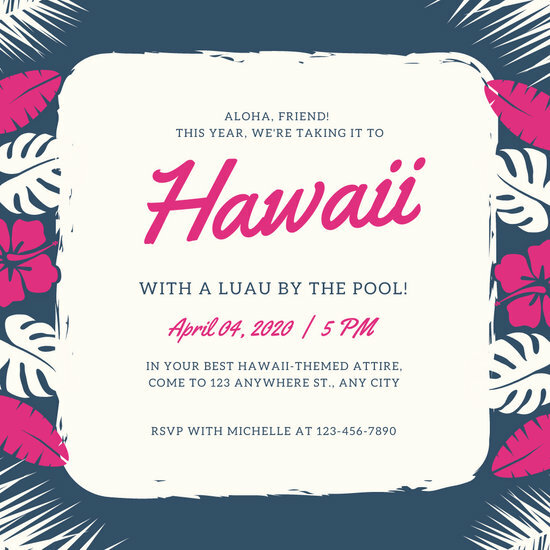 Create your very own Hawaii-themed invitation for free. 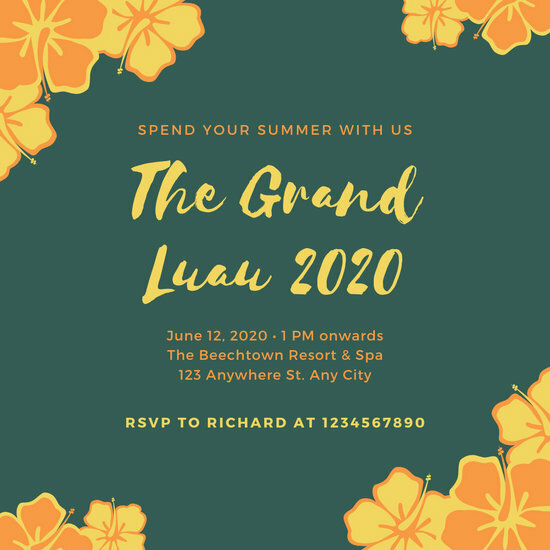 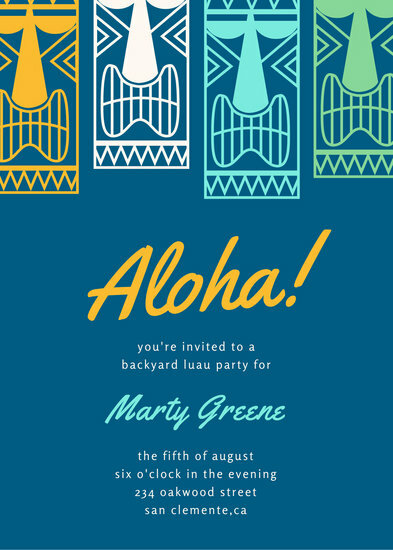 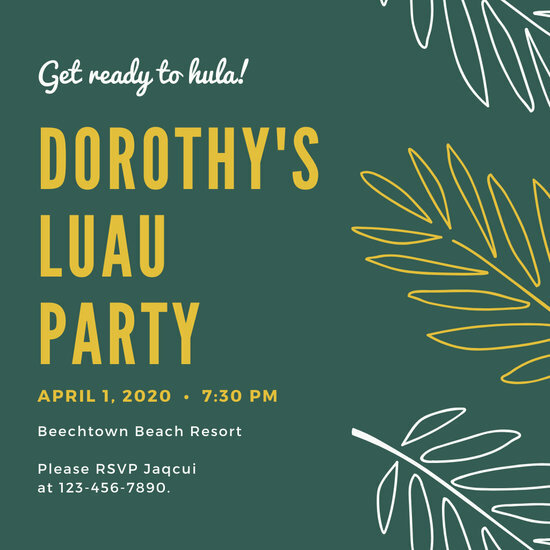 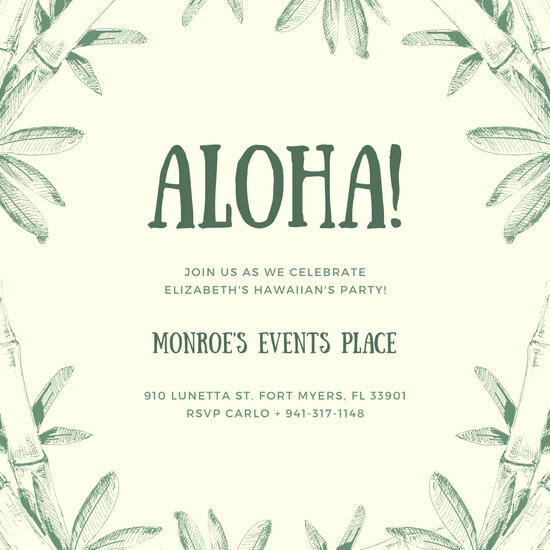 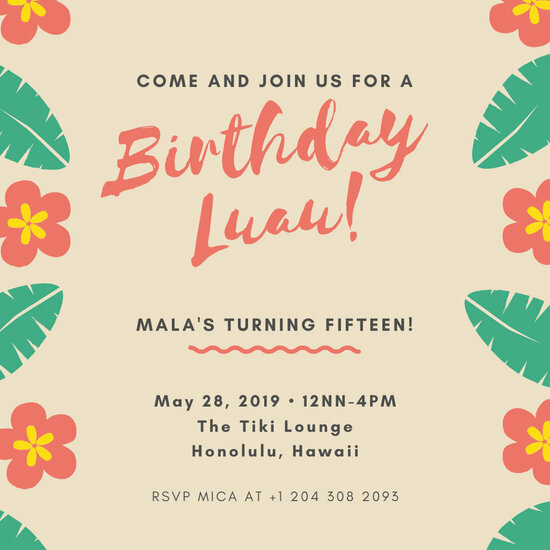 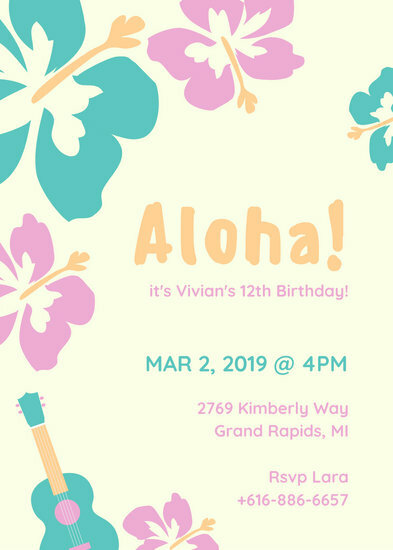 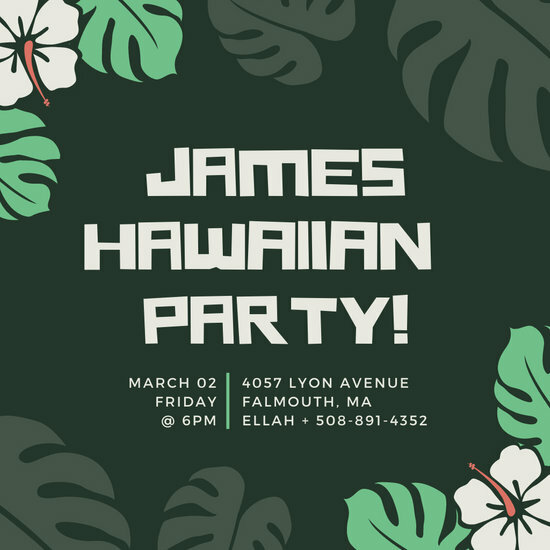 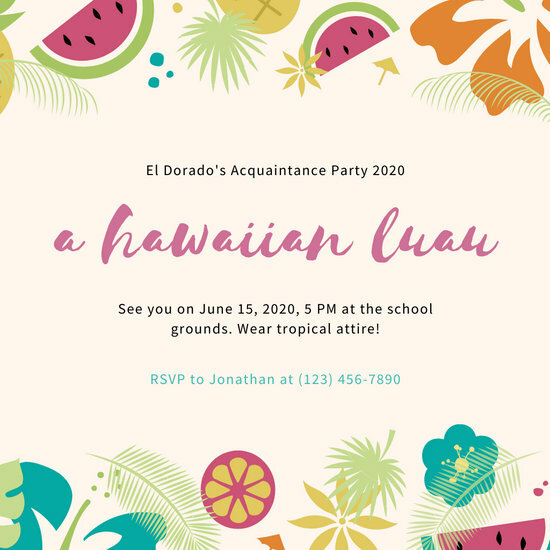 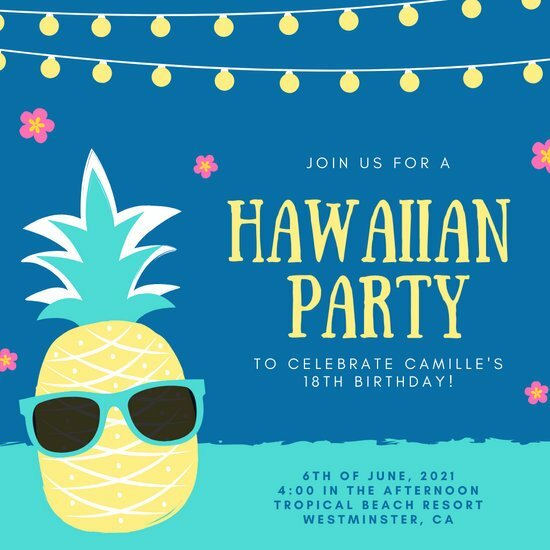 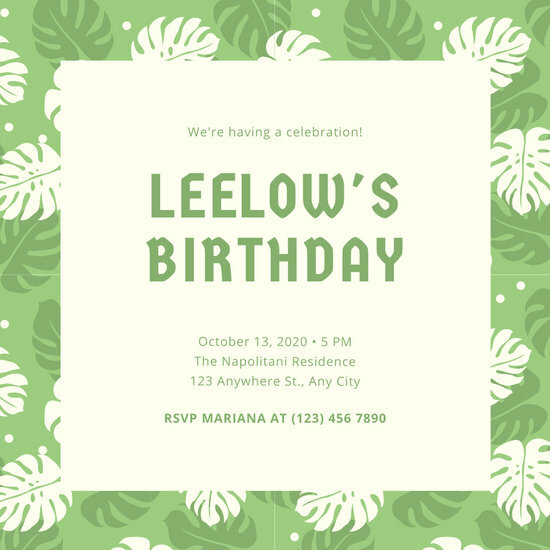 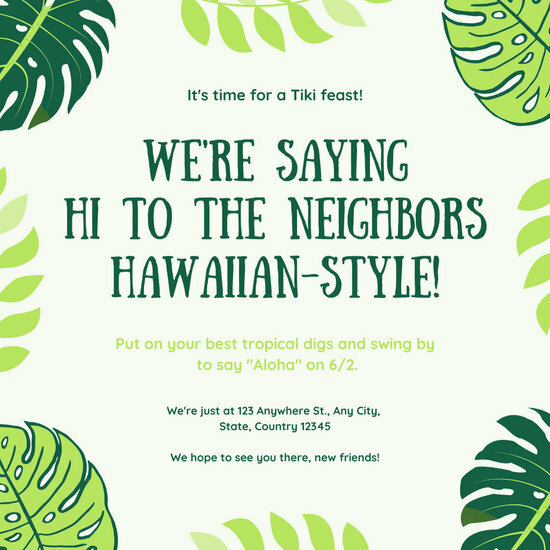 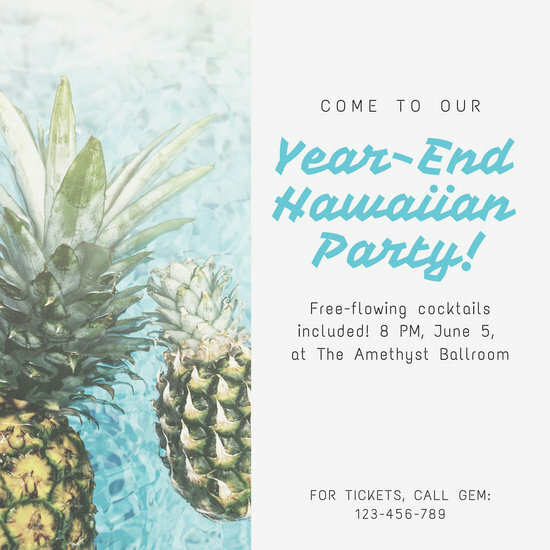 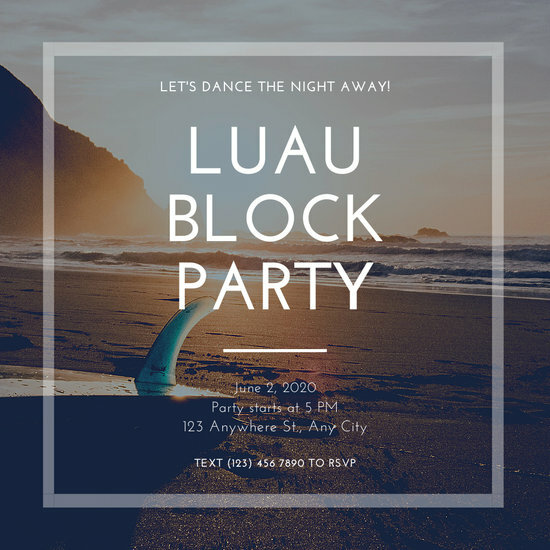 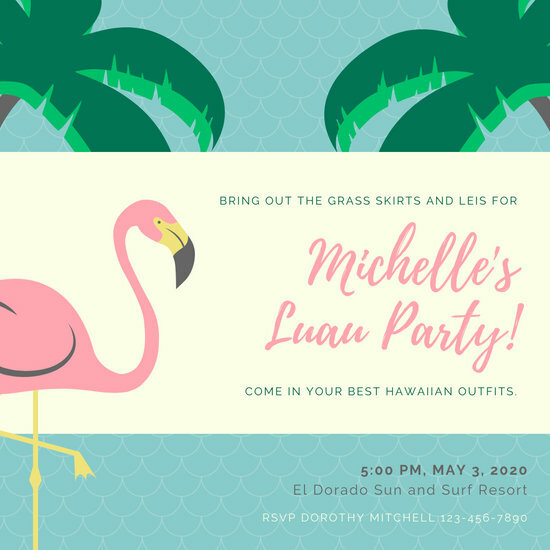 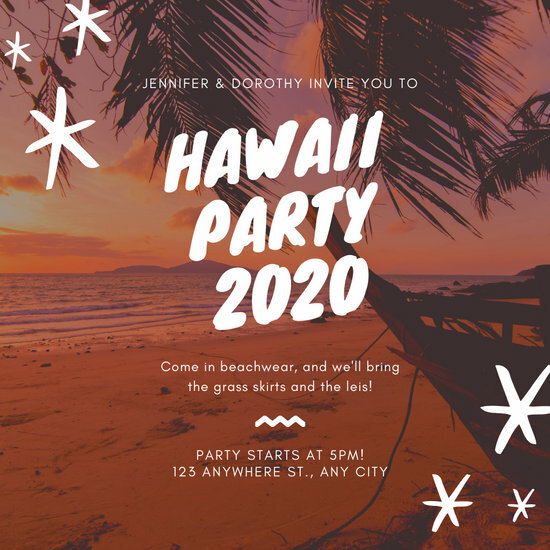 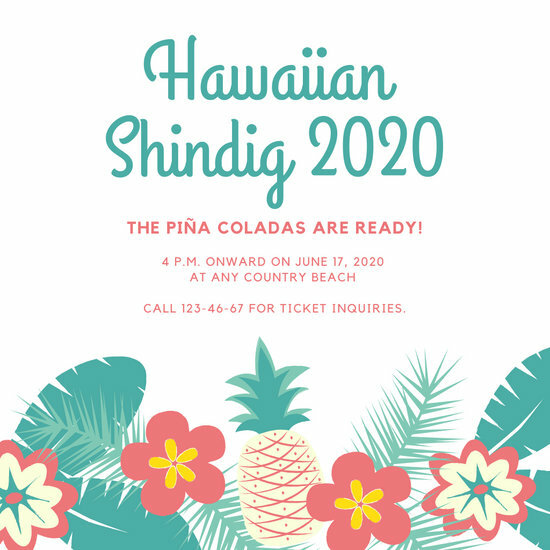 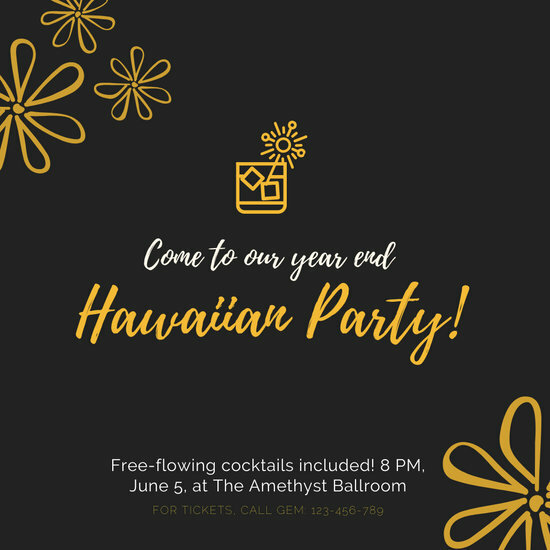 Canva has an impressive selection of free Hawaii-themed invitations designed by professional graphic designers, all of which you can customize any way you wish to. 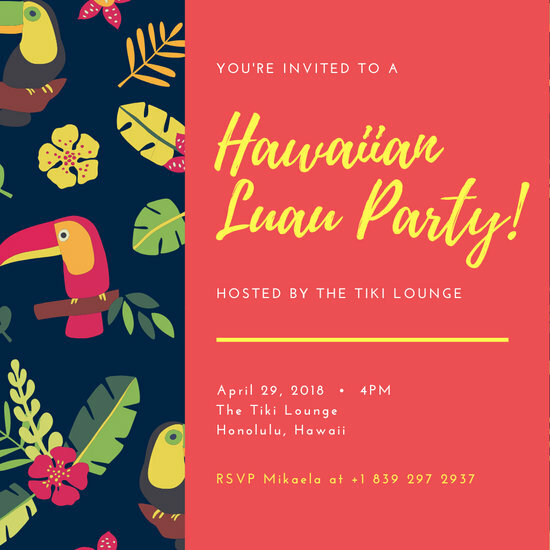 The drag-and-drop tool allows you to select and easily apply design elements to your Hawaiian invite, may it be lines, shapes, illustrations, icons, stock images, colors, and fonts. 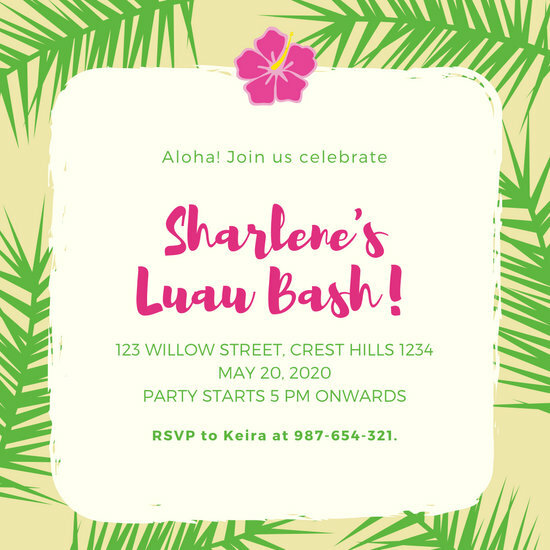 Once you're done creating your masterpiece of an invitation, simply download the high-quality file for printing or for sending online. 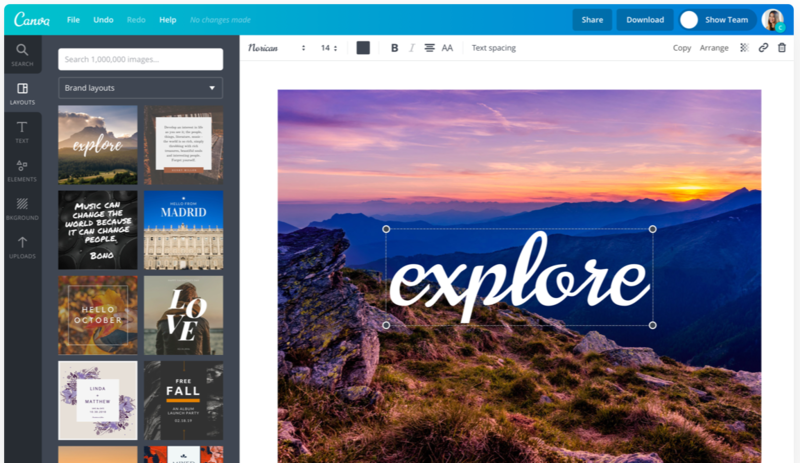 With the convenience of Canva's amazing graphic design software, you are empowered to create beautiful designs like a pro.